→Can Vegetable Oil Go Bad: Is it Still Usable? Vegetable oils are commonly used for cooking. They may be used as a flavoring or to alter the texture of a dish. Most vegetable oils have a long shelf life, but it is also very easy to tell if they have gone rancid. Can vegetable oil go bad? This question might be bothering you if you have a bottle of vegetable oil that has been sitting in your cupboard for a long time. Read this article and I hope I can give you some enlightenment through the discussions below. You will be informed if it ever goes rancid, as well as storage tips to prevent that from happening. Can Vegetable Oil Go Bad? To answer the above question - yes it can go bad. They do expire and it is usually easy to notice whether or not it has become rancid. Don’t worry as they have a long shelf life as long as they‘re properly stored. There are number of ways on how to extend the bottle of vegetable oil’s lifespan, which will be discussed in the coming sections. Bottles of vegetable oil usually do not have an expiration date. They have a “best if used by” date instead. This means that the oil can still be used up to a year after the “best if used by” date. Though it should be noted that the quality is best if you used it before that date. The shelf life of vegetable oils is mostly two to three years after its production date. It should be noted that the label is only an estimate and does not usually mean that it will go bad after that date. The key to prolonging the lifespan of a bottle of vegetable oil is to store it properly. 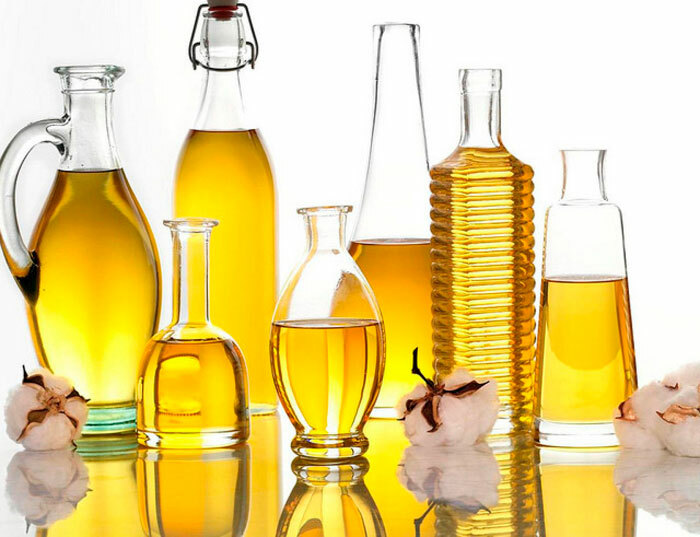 There are many kinds of vegetable oils such as sunflower, soybean and peanut oil. Their shelf life is quite similar to one another. Just remember that they are still usable for up to two years as long as it is unopened and properly stored. However, if the bottle is already opened, the oil should be fine to use for at least a year. If the vegetable oil is stored properly, you can prevent it from going rancid for a longer time. However, it is worth mentioning that the quality changes after some time. You will notice this especially if you use the oil directly such as using it as an ingredient in a salad. Are you curious on how vegetable oil is made? Check the video below to find out how. External factors such as oxygen, heat and sunlight affect the quality of the vegetable oil. What they do is that they speed up the process of spoilage. The best way to tell if the vegetable oil has gone rancid is through the use of your own senses. One way to tell is through its odor. If the oil has developed a foul odor, you may throw it away. Another way is through its color. You will notice that it has become darker than its original state. Lastly, you can tell if the oil has spoiled by its taste. If it tastes stale, it is also best if you discard it. These signs are pretty easy to notice. Just keep in mind that if the vegetable oil smells bad, tastes weird and looks off, it’s likely that the product has already spoiled. Spoiled vegetable oil should not be used anymore. Precautions such as keeping it away from the abovementioned external factors may prolong the lifespan of your vegetable oil. All types of vegetable oils should be stored in the same manner. Although there are differences between them, they share the mutual need for storage in a dark, cool and dry area of your kitchen. This will ensure that your vegetable oil won’t spoil, thus prolonging its lifespan. Light can extremely affect the speed of spoilage of vegetable oils. The same goes for heat, oxygen and humidity. They should be stored in room temperature or cooler than average temperature. It is also important to keep in mind that they should be kept away from heat, sunlight and oxygen. Another way to store vegetable oils is to seal it tight after being opened. You may store them in the kitchen cabinet, pantry and even basements. These are good options as they are away from heat and sunlight. It is also worth mentioning that it is not advisable to store them inside the freezer or the refrigerator. 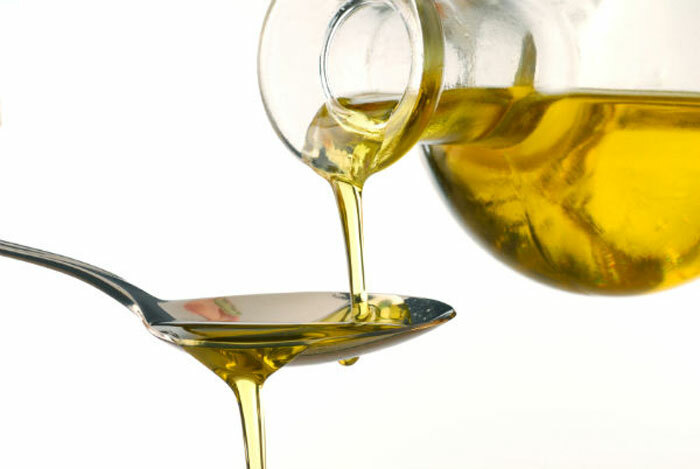 Can you Get Sick from Eating Spoiled Vegetable Oil? Spoiled vegetable oil generally does not get you sick, not immediately. However, rancid products may contain radicals that increase the risk of cancer and heart disease over time. To add, spoiled vegetable oils can result to botulism, which is a serious illness whose symptoms include muscle weakness, postural hypertension and constipation. Another negative effect of eating spoiled vegetable oil is artery and DNA damage. It should be noted that oils containing herbs, spices and low-acid vegetable cause this, not the vegetable oil itself. Can vegetable oil go bad? By now, I hope the above discussion were able to give you some enlightenment regarding the question. It is always important to be armed with the proper knowledge to make sure you won’t consume a spoiled vegetable oil. Yes, vegetable oil can go bad. Shelf life is up to two years if unopened and at least a year after it has been opened. Vegetable oils should be kept in a dry, cool and dark place. It should be away from direct sunlight, oxygen and heat as these factors speed up the spoilage. You can tell if the vegetable oil has spoiled if it has foul odor, tastes stale and appears darker. Consuming rancid vegetable oil may result to heart diseases and cancer over time. Did you enjoy reading this article? If there is anything else you want to add, feel free to leave a comment below and we would be happy to discuss it with you.